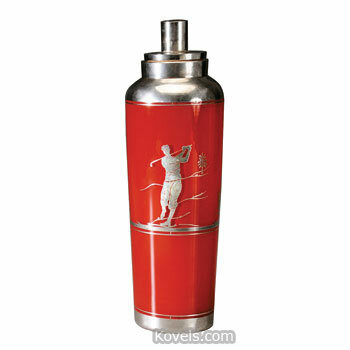 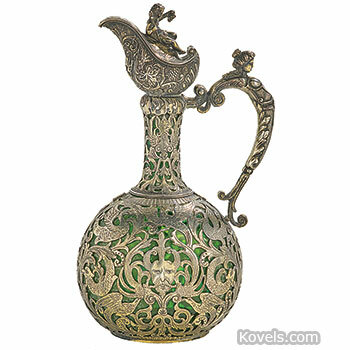 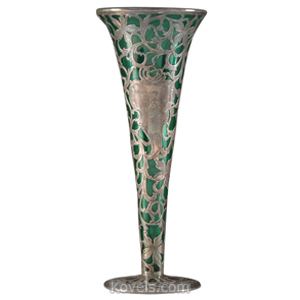 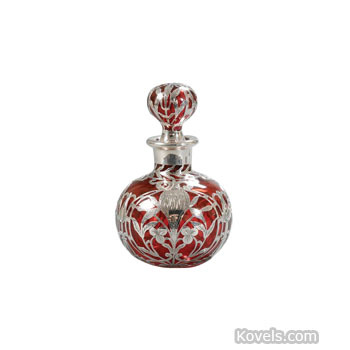 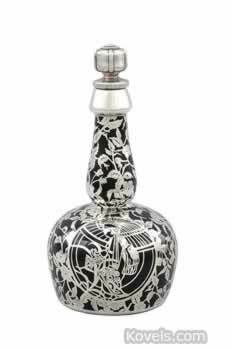 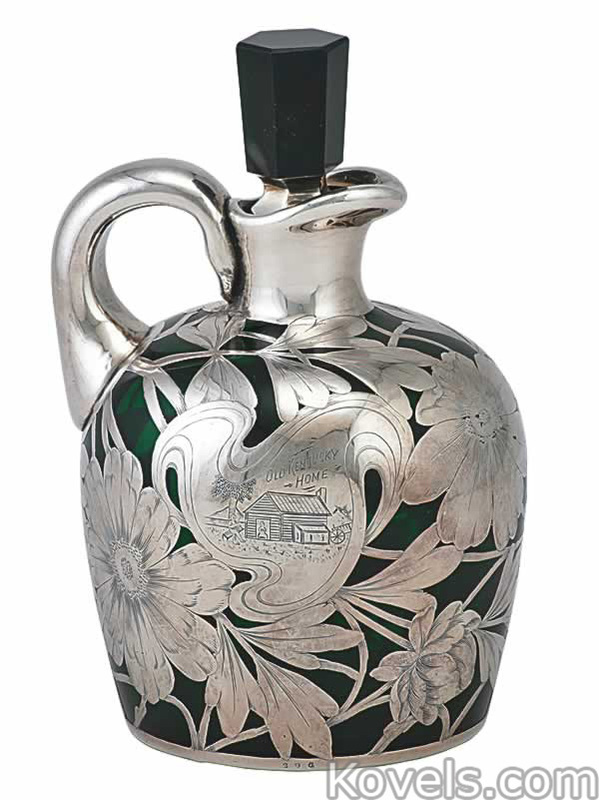 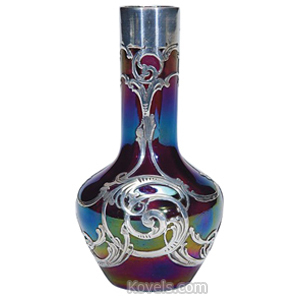 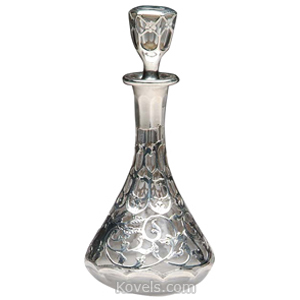 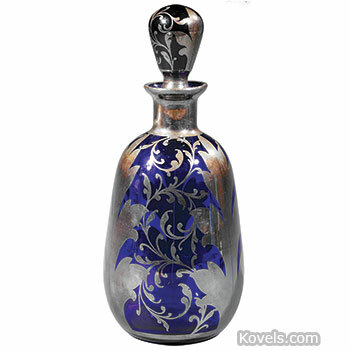 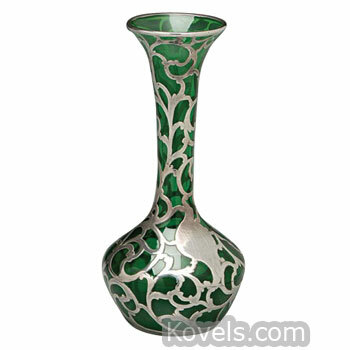 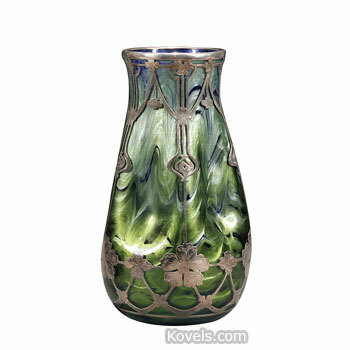 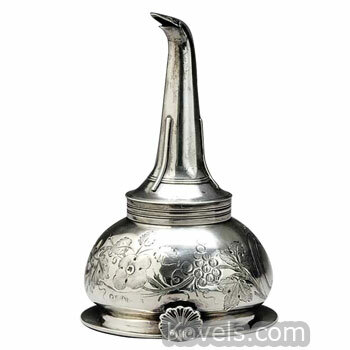 Silver deposit glass was first made during the late nineteenth century. 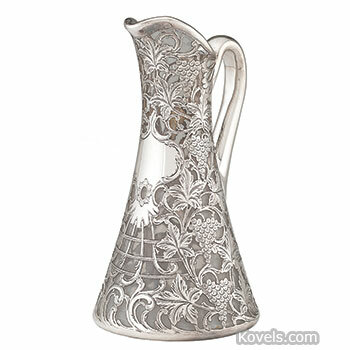 Solid sterling silver is applied to the glass by a chemical method so that a cutout design of silver metal appears against a clear or colored glass. 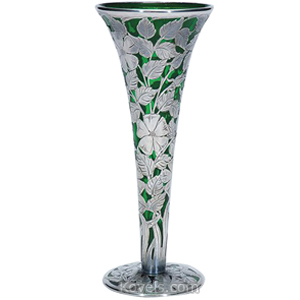 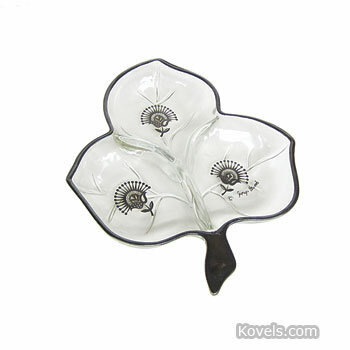 The technique was used to make pieces in the Art Nouveau style that were popular from the 1890s to about 1920. 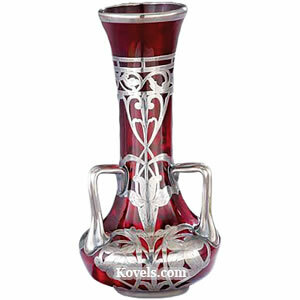 It is sometimes called silver overlay.